The Importance of feng shui is to know how to find balance in your life. Feng Shui is about calculations and to apply these calculations to enhance all the positive energy surrounding you and make it work correctly. These are the four main classical school of feng shui that we apply with our consultation for your everyday living and for the property. By using the environment surrounding your property to tap the good energy flow. This is particularly used when you purchased a land to built your property and how to position your property to blend in with the surrounding to create good energy flow into your property. In any case, studying the environment is utmost important as there may be conflicts or negative forces that may effect your property, therefore it will effect the occupants in the property. Natural forms of mountains, river or sea will also be considered with top priority and by blending the property with the natural formation of the environment will have a great effect to the property. Ba Zhai is based on the sitting or facing directions of the property and yourself. It will also determine which group of element you are and your favourable colours to suit you. 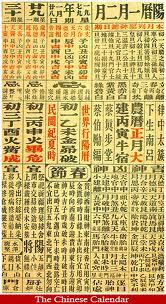 The calculation shall derive from your birth date to determine which directions are most auspicious and inauspicious. 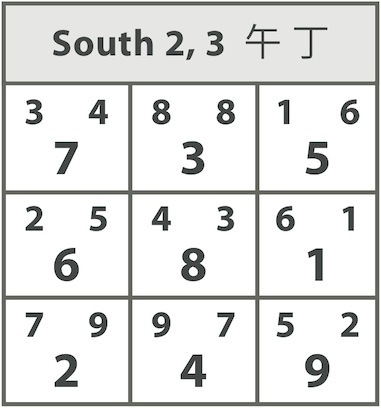 It is always divided into two groups which are the East Group and the West Group. There are always four auspicious directions and four inauspicious directions that one will have. Therefore feng shui is always about balance and finding the right balance to pave your way through life is very important. Ba Zhai is applied everyday in your life and once you know which are the good directions for yourself, utilize it to the fullest. Unlike the San Yuan (Flying Stars), Ba Zhai does not change every twenty years or every year, it starts from the day you are born and stays with you for life. 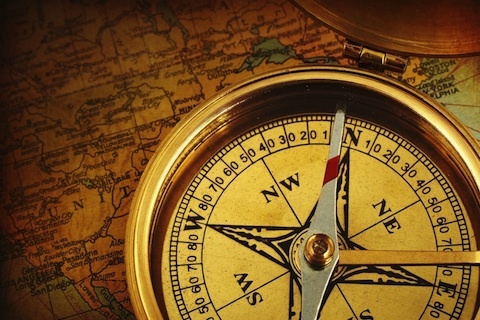 It is easy to use and everyone can use it by owning a compass to check if you are using your good directions. San Yuan is calculated based on the main door direction of your property. Calculations can only be made once the main door direction is determined and a layout plan of the property is needed to draw up nine grid/spaces of your property. Once the nine grid is drawn up, the calculations shall be placed accordingly into the nine grid to determine which stars are in each sector. From knowing the stars of each sector and studying the energy flow, it will identify which sectors of the property is good and bad. It is crucial to know how to utilize the space & sectors as some stars will cause sickness, arguments, marital problems and affairs. The good areas shall bring fame, fortune, love, good health and intelligent. Knowing how to enhance the good stars and suppress the bad stars are important. Date selections are important when you have to do renovations, ground breaking, for marriage and etc. Each day there are different elements, each months there are certain areas that have conflicts and to know whether the day is suitable for you do start renovation, etc is utmost important. The timing for of the day is also as crucial and by not following the date and time can have negative effects on yourself as the day or time element may clash with your element which is derive from your Ba Zhai. Date selection is a tedious job and normally would involve a lot of amount of calculation in order to get a suitable date when applying to your feng shui. Always ask when getting feng shui consultation on which feng shui method is applied for you as it is important to know how effective each feng shui method works out the benefit for you. When four school of feng shui are combine for your consultation, you will benefit for a more effective result. very in-depth, precised and easy to understand! 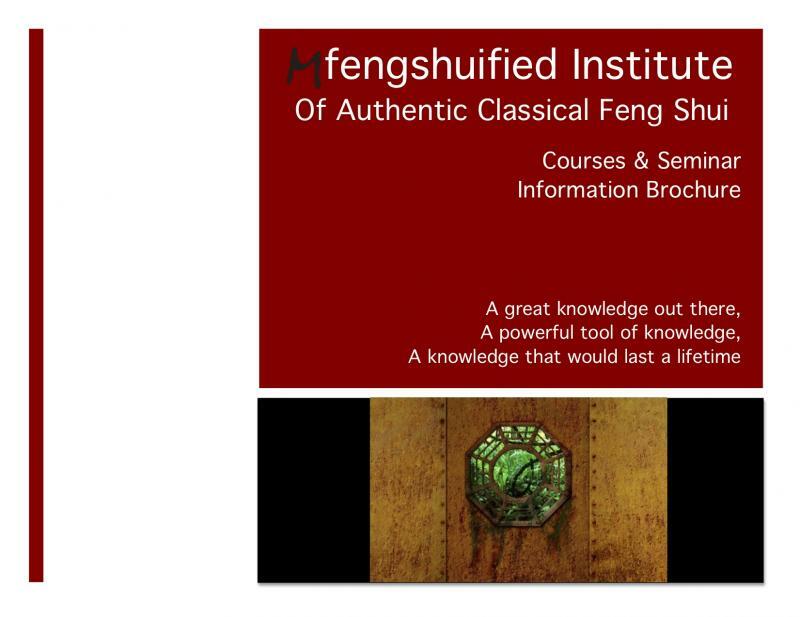 Here at Mfengshuified Institute Of Authentic Feng Shui Australia we provide courses for student who wish to excel and step into the world of classical feng shui with classroom teaching, workshops and practical training for students to be a better practitioner and consultant. We are the only institute in Australia that provide student service support with revision hours where students will be presented with cases to audit and students would need to comply with the revisions hours in their logbook and be on their way to be a great master practitioner. We are also the only institute in Australia that offers Authentic Main Schools of Classical Feng Shui that is easy to follow and understand with it's indepth formulas and information that has been used for generations by great grandmasters. The course structure has been designed in a way that allow students to further understand the Classical Way of Feng Shui and to find a balance within the Classical Way of Feng Shui together with Modern Feng Shui that is also widely known and practiced by many. Our tag line has always been "Feng Shui - Art of Balance" and we are here to help you find that balance and be creative with feng shui but more importantly how to apply it correctly! We are pleased to announce that we are in the process to submit our courses to be certified and accredited by IFSA (International Feng Shui Association) that is the famous, well known feng shui association formed by great grandmasters of the world and also to obtain CERTIFICATE IV in Australia. All students (past, present and future) who undertake our courses here at Mfengshuified Institute will be awarded with these certification once it has been obtained. Apart from these certification, you will also receive your Diploma by Mfengshuified Institute once you have succesfully completed your course together with the Certificate of Completion of Revision Hours once you have successfully log-in your revision hours. After all these certification, what's more important is that along your way to become a successful practitioner and with these precious time that you have invested, learned and experienced, we will then guide you on the application to be Accreditated with the "Master" title with the prestigious IFSA and this will carry weight in all your future undertakings as a Feng Shui Master. So call us today and enrol with us as we are the ONLY Feng Shui Institute in Australia that teaches proper classical feng shui course that is rated by most students as the University Level for feng shui studies. Master Practitioner Course (MPC) - student would need to complete 5 modules in order to graduate from this course and become a practitioner. The modules would include M1 Fundamentals, M2 Landscape and Form, M3 Ba Zhai 8 Mansions, M4 San Yuan Flying Stars, and M5 Time and Space. This course will include classroom teaching, workshop tours, exam and revision hours. At the end of this course students will be equip to become a Feng Shui Practitioner and can look further into consulting. Master Graduate Course (MMGC) - students will need to complete a further 3 modules that would include M6 San He Environmental Anaylsis with Compass, M7 San He Deadly Energies and Forces, and M8 San He Environmental Analysis Positive Forces. This course will also provide students with a 5 day onsite practical training, presentations and onsite examination. This course is designed to further equip students with the complete classical feng shui knowledge in all areas and will allow students to graduate to become a Professional Master Feng Shui Consultant. Pre-requisite for this course would require for students to successfully complete and pass all examination with the Master Practitioner Course (MPC) before entering into this course. M-Numero (M9) - For students who wish to have some fun with numbers and meaning that can be applied to our everyday lifestyle. This course is designed with the Greek Numerology system combined with the Feng Shui Lou Shu numbering system. Every number has a meaning and at the end of this course you will be able to get straight on and apply it. This course will also teach you the creativity of using the numbers, logo design, elements and colours, how to make your sale effective with numbers and logos, and much more. A fun one day course that will surely keep you on your toes and bring you to be more observant with your surroundings. To learn more about the courses, modules and have a better idea on how these modules are taught with other information relating to application, pre-requisites, student services, pathways, and much more. Click here to read our course information brochure. If you need more information on our services or to make an appointment for consultation, contact us at the following addresses.